We have land available throughout North and South Carolina, including the coveted area around Mooresville, NC. The most common statement that realtors hear when they are showing existing properties is, “I love house A, but land B . . . can’t you find a property that is perfect for both?” It never seems that the right house is on the right land, and you have to settle for one or the other being perfect while the other is less-than-perfect. You won’t have to face that conundrum if you go with a manufactured home from us at 1st Choice Home Centers. We have the home you will love and plenty of options for land so you can put it right where you want it. We have land available throughout North and South Carolina, including the coveted area around Mooresville, NC. One of the most common complaints about existing homes is that the land is not the right size. You won’t have that problem with us because we have lots ranging from just half an acre to more than 10 acres. You can have your small piece of heaven or room to roam. You simply choose the land in the location you want, and then the manufactured home you want, and we put the two together for you. You also get to decide where on the land you want your home to be placed. For example, you can have it placed near the road or set back if you wish. In addition, you are not limited to just the land options that we have available. You can also purchase your own land independently. We are more than happy to provide assistance when you are picking out the land for your new home. Give us a call today to get started on your new home and the piece of land it will sit on. 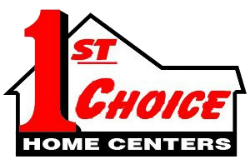 1st Choice Home Center offers premium land in Statesville, Mocksville, Mooresville, Troutman, Taylorsville, Maiden, Lincolnton, Conover, Newton, Union Grove, Hickory, Harmony, Mooresville, and surrounding areas of North Carolina.